On October 6, 2017 will be the opening of my solo exhibition at Nahcotta Gallery in Portsmouth NH. I have not had much time to write over the last few months because all my spare time between teaching workshops has been given to creating artwork for this show. I have called it 'The Marshlands' because this series of paintings was inspired by the amazing landscape of East Anglia, UK, where I grew up. 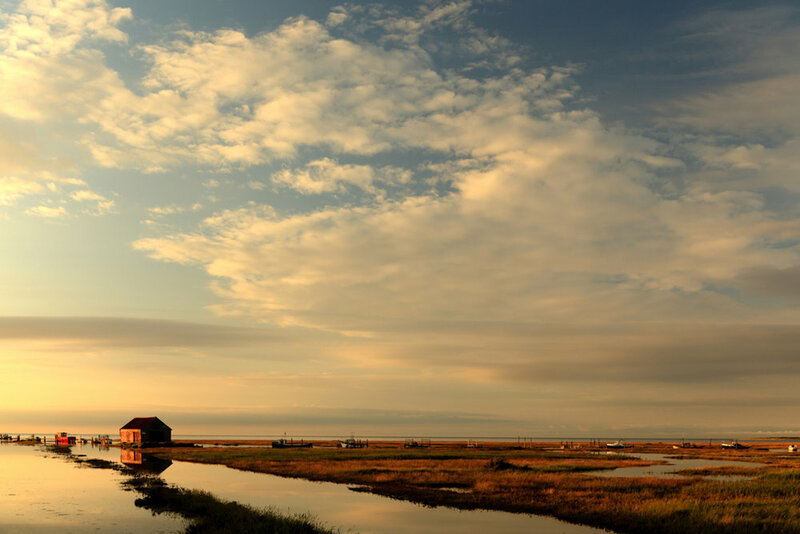 With the salt marshes, the crumbling sandy cliffs and the misty estuaries, it is a place of raw, unspoiled beauty. There were times when I thought this series would never come together, but now with over 40 works to display, I couldn't be happier with how it has all turned out. There is a cohesiveness to this body of art, in color, imagery and subject matter, that I could only have dreamed of when I began in January. One of the things I am most excited about is the use of dried clay in many of my paintings. I love the fact that part of the very earth I am trying to portray has become an organic part of the art itself. Wax and clay makes for a wonderful marriage, with the clay absorbing the wax, and the wax filling the cracks in the clay to create unique patterns and an archival piece of art. It took a lot of work and experimentation, but I am thrilled with the result. 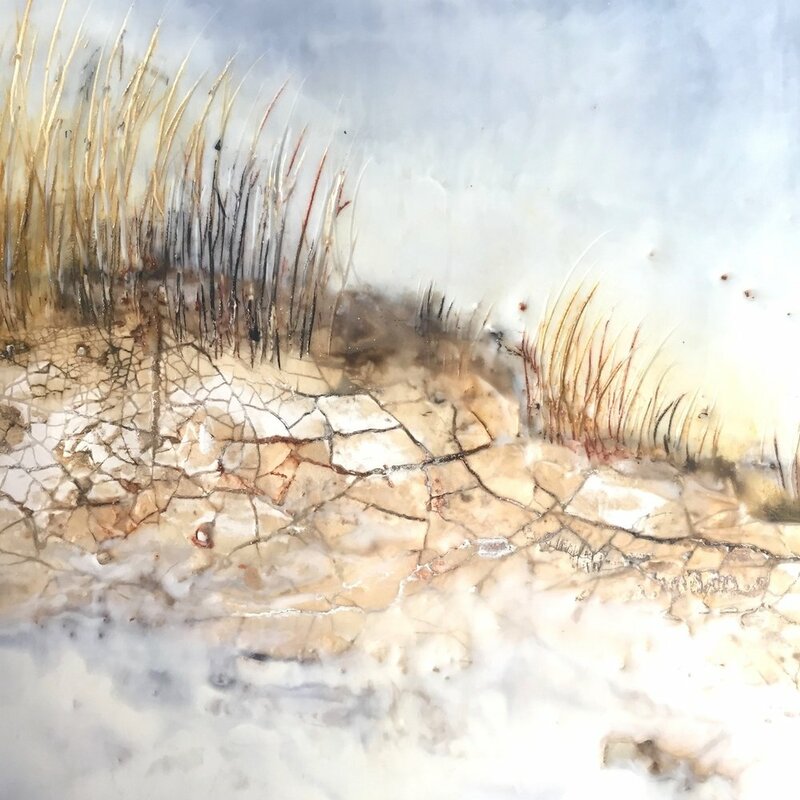 It's one of the reasons why encaustic is such an interesting and stimulating medium to work with; it's versatility makes for a constant journey of discovery. If you are in the area, then I do hope you will join me for the reception on Friday night, October 6, 6-8pm. The artworks will go online for sale at Nahcotta.com a few days before the show opens and the exhibition will be running for the month of October. In the meantime, here is a video preview I did, dedicated to our beloved boxer, Bella, the best artist's dog ever, who sadly died as this series was completed. Let me know what you think. I'd love to hear from you!